Student Portfolios are a great way for students to track their learning and use it for reflection. 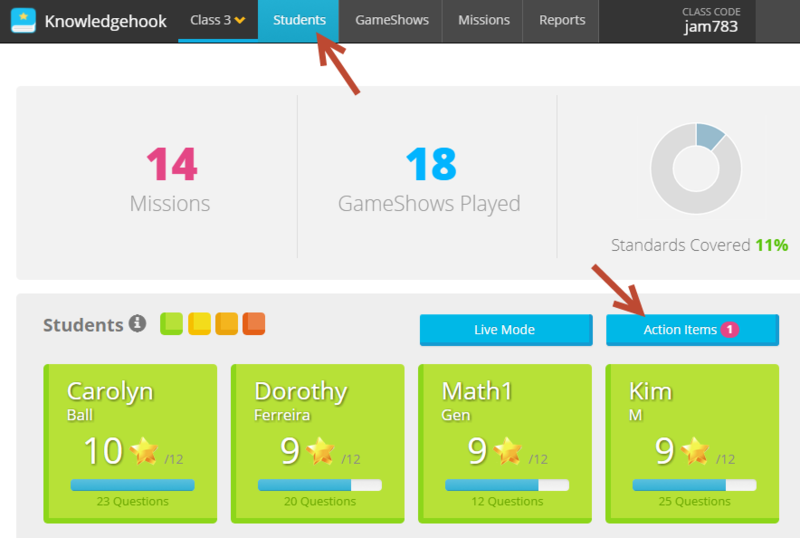 All of their uploaded solutions from GameShows or Missions go into the Portfolio. 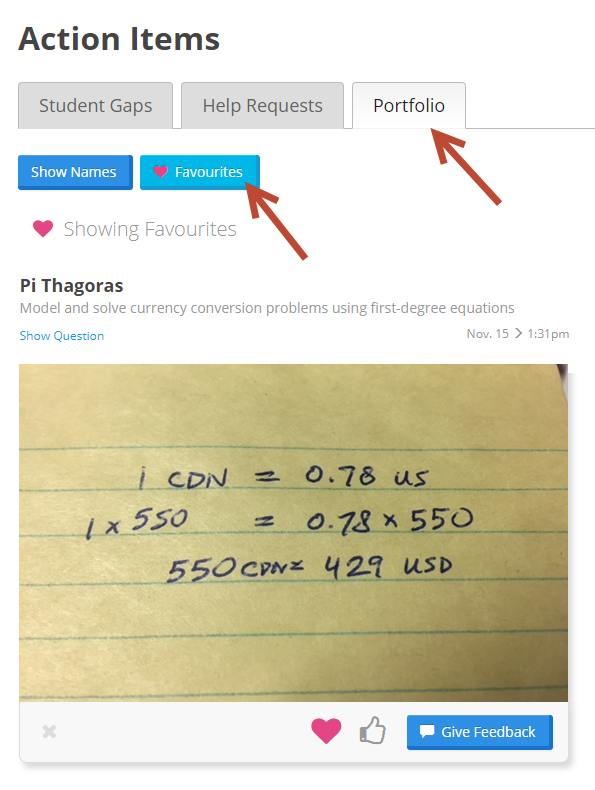 We've added a page that collects all of your students' portfolio items in one place, allowing you to easily give descriptive feedback after classwork. Click on the Favourites button to only show the ones you've bookmarked.